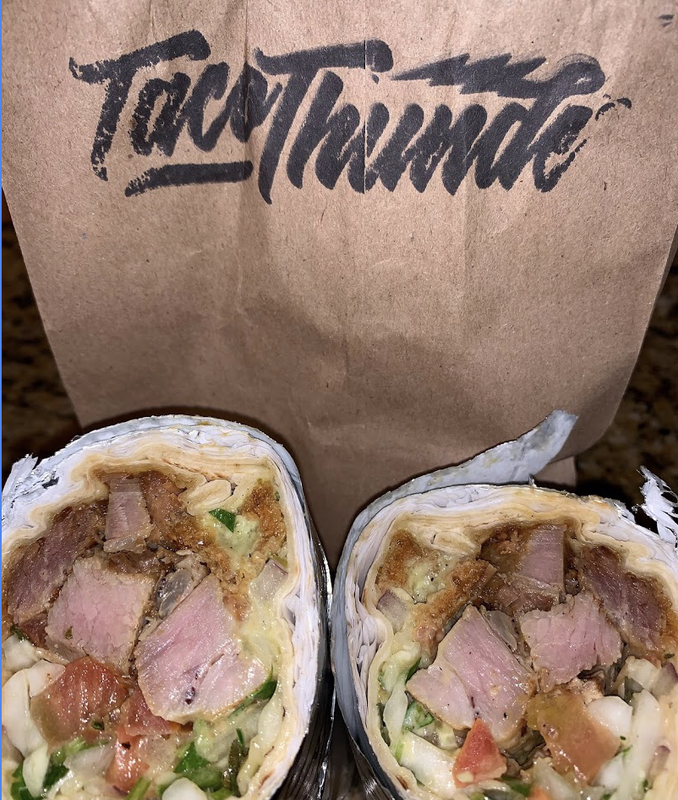 While the Encinitas location remains unchanged, the owners of Moto Deli have rebranded the Mira Mesa branch to become Taco Thunder, a chef-driven, scratch-made taqueria sited within a Shell gas station. Moto Deli was opened in the Leucadia area of Encinitas in November 2016 by local entrepreneur Mario Warman and longtime area chef Alex Carballo. A second location unveiled last summer within the space previously occupied by Roberto's Taco Shop at the Shell gas station located at 6695 Mira Mesa Boulevard in Mira Mesa, but that branch proved difficult so ownership reconceptualized it to become Taco Thunder. Taco Thunder is now in its soft opening phase with a menu of modernized taco shop food from Chef Carballo. There are a half dozen tacos, all priced at $2.50 a piece and made with homemade ingredients and proteins like charcoal grilled pollo asado cooked fresh every morning. Taco Thunder also serves 8 signature burritos, which all sound fantastic. Highlights include the "Cauli"Fornia burrito - a veggie burrito with chili rojo roasted cauliflower, camote, French fries, salsa fresca, Oaxaca cheese and avo-crema; and The Burrito of Destiny - a behemoth filled with smoked beef brisket and lengua. The quaint eatery also serves salad and rice bowls, quesadillas, posole soup, and a few side dishes. Taco Thunder is currently open on Monday-Friday from 10am to 3pm. For more information, visit tacothunder.com.